It was a grand gesture. Starting with Speaker of the House John Boehner and working through 130 of the members of the House of Representatives, Congressman after Congressman traipsed down the aisle, got to the microphone, and read a passage from the United States Constitution. 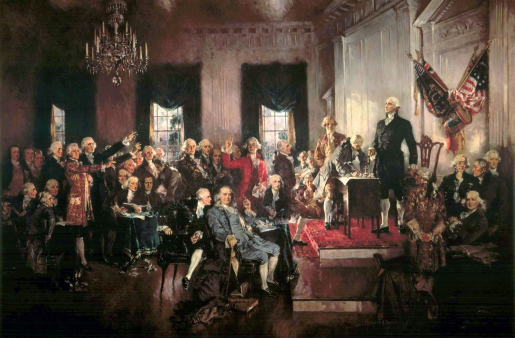 House Republicans organized the reading of the Constitution as a gesture to their Tea Party supporters; Democrats argued some, but mostly fell in line with the plan to avoid being the people who oppose the document that brought about the United States. The grand gesture took 1 hour 23 minutes and generally left most of Congress bored and antsy when they weren’t on camera or preparing for their reading. Amazingly, this is the first time in history that the Congress has read the Constitution on the House floor. It wouldn’t surprise me to hear that this is the first time most of the Congressmen had read the Constitution in general, to be honest. It’s a nice idea, but I hate that it became a political stunt when it’s in people’s best interest to learn what the Constituion says.